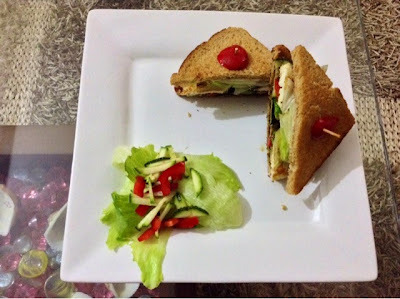 A sandwich is a food item consisting of one or more types of food placed on or between slices of bread. It can be eaten anytime when one is hungry. So lets make an interesting "Fruit Paneer Green Sandwich". 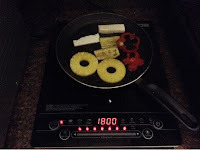 First we have to grill green zucchini, red bell pepper, capsicum, pineapple and paneer on a tava with a very less oil.Side by side toast the bread. 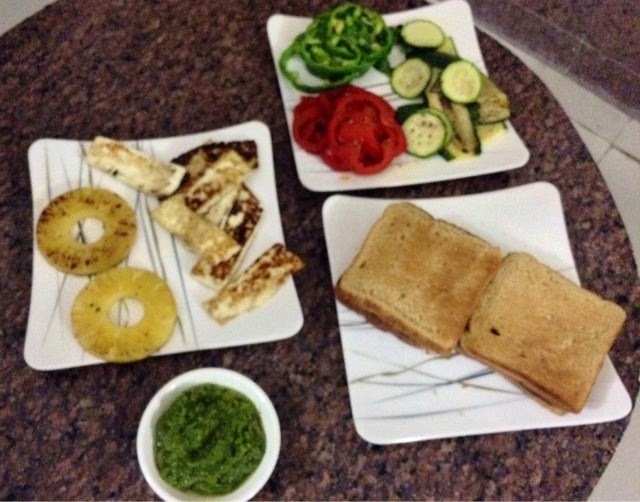 Now apply green chutney on one slice and butter on next slice. 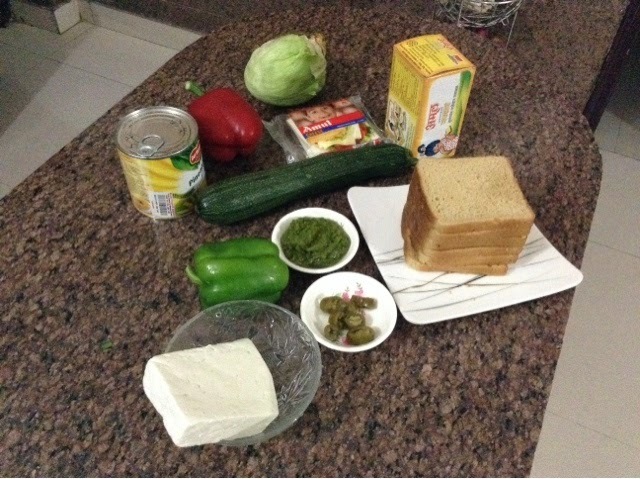 Now all the preparation is done we can assemble our sandwich. 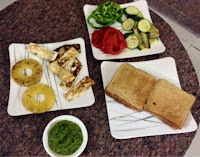 Take a bread slice with green chutney put some lettuce leaves on it, now place grilled zucchini, red and green capsicum then paneer and pineapple. At last place a cheese slice which is every ones favorite. Now close the sandwich with the butter slice. Cut it into triangles. Place it on a Platter and fix it with toothpick and red pepper. 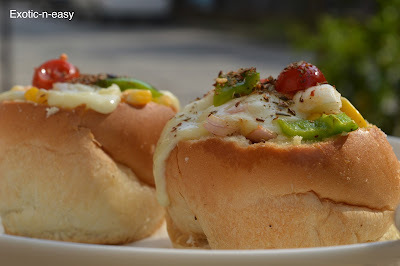 Serve it with some chips and salad. Looking at ur colouful and healthy sandwitch my daughter stepped in the kitchen to prepare it. All credit goes to ur receipe.Ty soooo much.